A stunning new space in the heart of King West. A bright unit with 9 foot ceilings, and hardwood floors. This suite includes everything for a great stay: an ultra modern kitchen, comfortable living area, sleek dining table and chairs, luxurious bedroom with queen sized bed, clean bathroom with shower, plus washer/dryer. It doesn't get better than this! 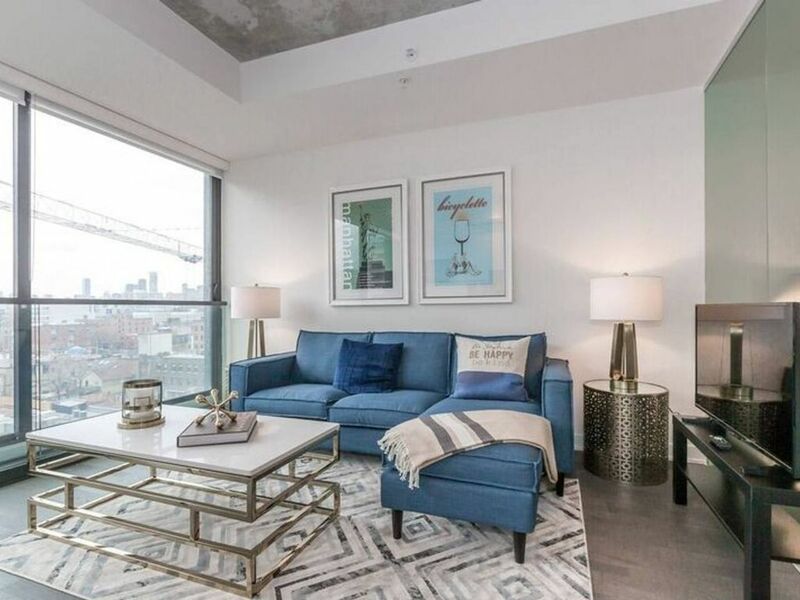 A prime A+ location, close to all sights and attractions in Toronto. A perfect space for anyone that wants to be in the middle of the hottest neighbourhood. Enjoy hanging out on the over-sized couch while you watch TV, or browse the high speed wireless Internet. Guests have full access to the condo. King Street West is one of the most vibrant and sought after locations in the city. Everything you need is located within walking distance of this spectacular unit. Public transit is right outside with the King streetcar running every few minutes. Jump on the streetcar and within minutes you'll be at the St. Patrick subway station. - Please respect the neighbours and no parties or loud noise after hours. There is no smoking or pets allowed in the unit. Please treat the condo as if it were your own. Only registered guests allowed in the unit. Sleek modern one bedroom flat. Close to all the Entertainment & Food hotspots. All the amenities one would need for any length of stay. Very fast Wifi. Fabulous location - everything we needed to have a great stay in Toronto! We were so glad we rented this place! Great location in a very nice neighborhood, very walkable to restaurants and shopping. Nice view, optimal location and convenient transit options. It felt like home away from home.